Set one year after season 1 of "Hello, My Twenties!." Jin-Myung (Han Ye-Ri) successfully found a job after she returned from China. Ye-Eun (Han Seung-Yeon) took a year off from school due to the aftereffects of her abusive ex-boyfriend. She is now returning to her university. Ji-Won (Park Eun-Bin) has yet to find a boyfriend. Eun-Jae (Ji-Woo) broke up with her first love and she is in emotional pain. The girls have a new housemate Jo Eun (Choi A-Ra) at their sharehouse. She stays in the room previously occupied by Yi-Na (Ryu Hwa-Young). "Hello, My Twenties! 2" takes over the JTBC Fridays & Saturdays 23:00 time slot previously occupied by "The Lady in Dignity" and followed by "The Package" on October 13, 2017. For season 2, Kang Yi-Na (Ryu Hwa-Young) has left the share house, but will appear in the drama series. Ji-Woo replaces Park Hye-Soo from season 1 to play Yoo Eun-Jae. Park Hye-Soo is unable to appear in season 2 due to scheduling conflicts. First script reading took place June 7, 2017 at JTBC building in Sangam, Seoul, South Korea. Onew was originally cast to play the character Kwon Ho-Change, but dropped out of the series on August 16, 2017. Shelsie Quiroz Apr 15 2019 8:40 pm Where is season 3!!!! I need more!!! Its me Mar 29 2019 4:16 pm Okay but, am I the only one here that is breaking their head over who the little girl was towards the ending. Like its probably an obvious answer but who's kid is that?! Ron Mar 12 2019 5:19 pm Bring season 3 !!! Pulchra25 Mar 11 2019 5:41 am Please make season 3, so curious about ji won and sung min. Can someone recommend me a light, funny and unbored drama like this one? Candid Jan 23 2019 12:41 pm I agree, Eungae and young yeol couple should continue their love story but Eungae should revenge first before getting back with young yeol so that he would realise and learn to value a girl. I love all the cast here.... Season Two is more interesting though. I like how they turn the story between the asgar and nuna. And yet it didn't affect the relationship of his bf. Yellow Jan 20 2019 10:42 am Eun Jae and young jeol couple should still be up!?? Jieun Oct 30 2018 8:38 am What happened to the 1st eun jae???? Caoimhe Aug 09 2018 9:46 pm Despite the changes, I really liked this season for the most part. Song was my favorite character in the first season, so getting to see more of her was really nice. And even though most don’t seem to like the character Jo, I adored her. I did miss Kang with her being gone but I think how they handled her leaving the estate was well done (it made me happy to see her wanting to change and create a better life for herself on her own terms— not want to change for the others). And I do hope there is another season to answer unfinished plots/more to the characters. I do think the biggest fail of the season was changing Eun-Jae’s character. It wasn’t so much the personality change as in the last episode we see the character let go to her regrets/fear a bit. A year is enough for someone to grow/change— even more at the age they are. 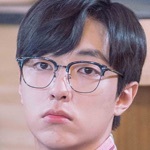 However, the character ticked me off so much, I could understand personality changes but they erased every small detail that made Eun-Jae’s character so likeable. I do hope their is a season 3, since this is probably on only drama I’ve ever really been a fan of. Yannie Jul 01 2018 7:48 pm Season 3 pleaseee! HM2709 Jun 27 2018 5:37 am Just finished it today.. A bit upset about the ending, especially about Song Ji Won story and her relationship with Im Sung Min.. Hope there will be Season 3..
san Jun 15 2018 7:38 am I love this season more than previous season. In season 1, in some of episode, i kind of feel bored watching them but in this season, i always want to click next after i finish an episode. I like Yoo Eun Jae better in previous season and kinda really miss Kang Onnie and her story that captivate me in season 1, but in this season there are times i questioned my sexual orientation! LOL that's how great Choi Ara portrait herself as Jo Eun. I know that she is woman but in some of earlier episode, she exude charming charisma that made me love her, not as admirer or fans, but as woman to her fellow woman. I know it sounds ridiculous, thankfully as episode goes on, i feel her feminine aura, so i become see her as some-onnie-who-is-cool-and-cute-at-the-same-time-i-cheer-for-her-love-story. She and Kim Min Suk with their high difference is so cute together. Marie Jun 13 2018 6:29 am I spend my whole day just to watch this first series of AOY~ every episode was interesting and the flow of the story is great! And in the season 2 didn't disappoint me!! Even tho eun jae portrayed in another role, and the new cast who named Jo eun and seo jang hoon loveline was killing me!!!?? They are unique couple tall and short ? and im sung min and song ji won ihoped in season3 they also have a loveline haha~ but I loved their friendship!! I hope I have a friend like her. Fighting For This AOY!?? many friends I have watching this AOY also. By the way I salute the scriptwriter and director. :) Season 3 Fighting ?? Rose Jun 12 2018 11:04 pm Choi Ara the tall girl!!! I love her!!! ??? Rose Jun 12 2018 11:03 pm I really want season 3 of AOY!!!! The flow of the story is greeeeat!! !~~ there friendship is the best!!! I hoped this have a season 3!!! Please director!I love the cast and Choi ara is the best!!!??? A Human Jun 05 2018 8:47 am Everyone remembered Yoon Jong Hoon as Seo Dong Joo (Kang Yina's friend)? Watch this drama again makes me remember him. Even thought in Season 1 he barely has scenes and since Kang Yina's not joining in this Season 2 makes him not playing at all, his role as Seo Dong Joo has an unforgetable character, makes me miss him like an old friend. I miss him as well as Kang Yina. If Season 3 does exist, I hope Kang Yina's back with Seo Dong Joo as well. Not as lead role it's okay, I just hope they have a lil bit more scenes. dahee May 31 2018 2:05 am I need a third season and a Yoon sunbae in my life HAHA ? anne May 28 2018 9:55 am tbh I don't really enjoy the season 1, but season 2 is way better, It's well written. I love it.. it seems like there will be season 3,yess.. but why ji won & sung min still friends?? I thought they would be dating in the season 2.they need more romance. ageofyouth. Apr 28 2018 1:55 pm ah, I really hate how Eunjaes actor has changed. she was my favorite character and I loved her style and her personality matched mine in a way. They act and look completely different. I thought she was a new housemate, but..
And plus, I miss the old hair colors.. ? ddalgiuyu Apr 25 2018 5:15 pm imo jiwoo's acting is alright, but because she looks completely different with park hye-soo i dont really feel like she's eun-jae. also as we can see eun-jae's personality did changed quite a bit, she's not as shy and afraid as she was back then. i think the main reason why people dont really like the new eunjae is bcs first, the actress is different and their vibe is different as well. second, there are some changes on eun-jae's personality. if something were to change its better to change change one aspect to be consistent.. bcs here the actress changed and the personality of the character is also changed.. its natural for people to think the character jiwoo's playing is not eun-jae but like a new character..
Paperhearteu Apr 25 2018 1:25 am After watching the season 1, then the season 2, its kinda weird watching the new eun jae... her acting is really great even though her acting in obsession is kinda funny and cringy. But little by little, i started like her. The story, characters and chemistry are all perfect. I highly recommend this to watch it. 10/10 for me, season 1 or season 2. This drama really deserve season 3, and also I'm waiting for another chemistry of Ji Won and Sung Min :) MUST WATCH!!! Hanaa Apr 22 2018 10:39 am Three?????? elzed Apr 18 2018 9:02 am The new eun-jae character is totally crap. The obsession was too cringy to handle. But good thing thr new eun jae knows how to cry, the old eun jae cant be compared to her in terms of crying scenes. But most of all, We Neeeed Seaaasoooon 3!!!!!!!!! Kand Yi-Na why cameo only??? ???? Merpedy Apr 14 2018 5:40 am The big kicker for me this season was the change of the main actress. I don't think it would have been such an issue if they both had a similar head shape or generally just looked similar, instead it felt like watching a new housemate trying to fit the place of Yoo Eun-Jae. During many scenes the actress made the character we know and loved looked like a complete murderous psychopath (most often by smiling or delivering the lines in an odd way) rather than someone who we know to be shy and awkward. It simply did not feel like Yoo Eun-Jae. Part of the story felt repeated to me - especially the letter in which we saw some characters go through the phase of 'maybe it's for me' and then get into a fairly similar situation. The season also became predictable at a few points due to foreshadowing and mental health issues (bulemia being casually mentioned by one of the characters) could have been dealt with better or perhaps not mentioned at all. It was an enjoyable watch over all with many comedic moments to lighten the story. kcuellar Apr 08 2018 9:04 pm Age of Youth is the best! They need a third season to continue how they left off. Me Apr 07 2018 2:12 pm This show make me think about how I’m living and how I actually want to live. Youth, Friend and happiness I want to enjoy it. This shows has deep meaning about youth and I’m loving it.Great show. Julianne Rieckmann Apr 06 2018 10:42 pm Please continue Season 3 Hello My Twenties!!! PLEASEEEEESSS!!! On sugar on top. I love the show, it has a great plot and I really love the show because it relates to every women who is twenty. I love the show please continue the show it's amazing!!! I specially want to find out what happens to Ji-Won's case. I want to know if the guy gets caught and goes to jail. I want to see the old characters from the first season come back pleaaaasssseeee!! I'm sitting on edge here, does Jung Ye-Eun get it easy with her boyfriend sisters, or not? It has to continue, all the good shows end up canceling, and this is a good show don't end it there please!! Kim Apr 06 2018 12:39 pm Season 3 please ! Song ji won & im sung min belong together !! Am I the only one obessed with their season relationship!? Kim Apr 06 2018 12:35 pm AM I THE ONLY ONE OBSESSED ABOUT SONG-JI WON & IM-SUNG MIN!? Please make season 3 I honestly loved season 2 Beter than season 1 but please bring back Kang yi-na ! And please bring song-ji won and Im sung min together !! Mi-na Apr 06 2018 12:27 pm Hello, My Twenties2 is a great continuation of the first one! I like how they keep the plot interesting and mysterious- it's SUCH a good binge show. Some things that bothered me after finishing season 2(spoilers): -Eun-Jae's completely new character. and I'm not just talking about the new actress, but the fact that she went from a shy, reserved, and sweet girl into an obsessive, melodramatic, and entirely new character. I think it's unfair to blame Ji-Woo as an actress; the character they turned Eun-Jae into is horrible! Worst try at character-development I've seen. -The fact that they NEVER gave me a Ji-Won and Sung-Min relationship!! ): Cutest characters together BY FAR. I love the development of their friendship throughout the series, but I was sooo dissatisfied with the ending of just Sung-Min saying he likes Ji-Won AND IT NOT GOING ANY FURTHER. -AT FIRST I was bothered that Yi-na left, but I was soooo pleased with the introduction on Eun that it didn't even matter! And Yi-na pops in every now and then, so she wasn't completely eliminated Other than those things, this show is GREAT and super interesting to watch. I'm excited for a continuation because of Ji-Won's charges. luna Mar 31 2018 10:01 pm i really cannot stand jiwoo's acting. not only did she portray a completely different version of the character, i found her acting grossly dramatic and fake. 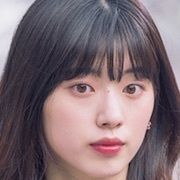 in contrast, park hye soo developed a sweet, serious, and introverted character full of sincerity, jiwoo turns the character into a doe eyed joke. if they had to replace the character, at least keep the acting consistent with the original personality! i especially find it hard to watch the moments jiwoo would fake laugh in order to cover up dread or horror. it's such a turn off! not to mention, hard to believe. i nearly stopped watching altogether because of how god awful her acting was. if it weren't for ji won, i would have lost interest. what a massive disappointment. 13 Mar 21 2018 2:43 pm Don't ever doubt to watch this, just go and watch! Watch S1 with refreshing mind, and S2 without expectations, just go with the flow. I am totally fine with the replacement for Eunjae, plus both Eunjae S1 and S2 are different. S1; level one, trying to grow up. S2; next phase of her life because level 1 was very success so it's time to face the dowsn of her life and grow even more! This is by far the my first-placed drama after two years, push down It's Alright It's Love to number 2. Why? Because it is so meaningful and relatable! Perfect amount of romance, friendship, family, comedy, sad, everything's there! I'm so waiting for S3!!!!! ? Sung-min-Jiwon biased Mar 10 2018 4:21 pm Oh and I must had that i loooooved Ye-eun's cuteness. Never saw an actress this naturally cute. Sung-min-Jiwon biased Mar 10 2018 4:17 pm Well, I am maybe one of the very few who actually did not like the "first Eun Jae" and was quite pleased with her remplacement. Also, I was totally into Jiwon And Sung-Min story, so I felt unsatisfied with the ending. The ending pointed to a season 3 but the web says otherwise. Wish there will be one, and Sung Min better accept to be "jumped" by Jiwon. Even if they did not actually date, they feel like the most consistant couple (the one that will last long). AeriL Mar 06 2018 9:28 pm This is just my personal and honest thought. I Am not trying to be mean to any actor/actress. I have finished ss1 and currently watchingg ss2. First of all I absolutely love the first season. It was almost perfect, each characters are unique and very well portrayed. I believe anyone can find a reflection of themselves in at least one of the characters. The only problem to me is Eun Jae. She was my fave in ss1, maybe because since the first episode, I have always felt like she was a pretty version of me :))) with a bit more shyness yet cute. I can relate to her, a lot. But the feeling I have for Eun Jae totally changed since ss2. The new actress for ss2 is (to me) so awkward. I can tell that she was trying to portray that shy yet cute feeling of EunJae but it was just ... weird and awkward. Like my EunJae disappeared. Luckily so far I feel like ss2 doesn’t focus on EunJae as much anymore so it’s good. Also, the absence of Kang unnie broke my heart :( but I love Eun :))) she is so charming. Btw, Song Ji Won in ss2 was a bias wrecker!!!! I liked her in ss1 as well, but her in ss2 somehow was more attractive to me, and her romance with Im Jungmin was just ??? They are my fave couple! layla Feb 24 2018 2:40 pm I CANNOT EXPRESS ENOUGH HOW MUCH I LOVED THIS KDRAMA !!! This kdrama felt so real ,so raw .Ugh .I need a season three so badly !!!!! Until then ,the ost will be the ost of my life << you may think im joking but honestly though i cant stop listening to it it will be on replay non stop i can say that confidently without a doubt !! Discovery247 Feb 17 2018 4:00 am Senior Kang was my fav character from season1. Why did they have to show her leaving the house? If the actress playing Eun-Jae in season 1wasn’t available they could have shown her leaving the house. I don’t have anything against the new actress playing Eun-Jae but I was so invested in the old Eun-jae that I can’t seem to like the new one. Yoon Sunbae is slayin as usual and I love the new actress playing Jo-Eun. Ada Jan 31 2018 1:26 am I actually like the new actresses esp the tall one. She was awkward but funny. The chemistry of the original three of course will stand out compared to the rest. Han Ye Ri & Park Eun Bin has the best acting imo - this is why they're starring as leads in new dramas. We Need Season Three Jan 30 2018 8:20 am For those who's here to check out if this drama is worth, well I assure you it really is. It's been months since I finished this series yet I still can't get the hang of it. 1. It's not JiWoo, the EunJae's fault for not perfecting the character established by HyeSoo. Obviously, they're two different people, so expect changes. Get over it. Stop blaming JiWoo for your disappointments with this drama. (side note: Am I the only one who thnks she looks like Anne Hathaway so much) I'm sure it's very hard for HyeSoo to let go of this role, and at the same time, for JiWoo, to attempt to satisfy people's expectations with respect to the legacy HyeSoo left. It's not very nice (and convenient) to switch the role back to HyeSoo since the consistency and continuity of the drama will be ever more disrupted. 2. For those who want to replace Yoon Sunbae with YiNA just because she's not considered a "youth" anymore, the point of the drama is not to emphasize the ages of the characters but to show everyone that the "age of youth" is the age of experiences, self-realizations, and putting importance to the things that trully deserve it. 3. We have so much more to look for in this drama. However, the continuation of this drama also depends on the support and demand of the fans. So spread the word! Don't overwhelm people with complaints and just show them how good this drama is. mhj Jan 17 2018 11:21 am I love this drama! It just felt weird that they changed Eun Jae (given that it was just a few months after in the time frame) though it is really funny when people would comment about how she looked differently. Hahaha. It would be really interesting if they made that into some twist if they want to push through with another season. Park Hye Soo as Eun Jae would come back and then they'd realize that it was not the real Eun Jae with them all along. PHEW. Hahaha. I just really want Park Hye Soo back. Hahaha. But don't get me wrong Ji Woo did really good as Eun Jae as well. oof Jan 10 2018 1:12 pm am i the only one who doesn't mind the new cast? obviously the og characters were amazing but the new ones are great as well. the only reason eun jae got replaced is because of schedule conflicts so they couldn't do much but ji-woo is a good actress as well. also i'm sad about yi na being gone but i love eun as well, shes so cute <3 even though most stories got wrapped up i hope there is a season three! はな Jan 03 2018 8:38 am I just finished this series and I really like this drama (Season 1 and 2)~~~ and i think ji woo did great act as eun jae. If there is season 3, i hope kang eonni will join them again. I remember (or... this is just my false memory... Haha) kang eonni said something to jang hoon that she'll back to belle epoque again. And for kingstar_88 below; yes. The villa from the first episode is heimdal parents' villa. You can check on the first episode, near the kitchen inside the villa there is family photo including heimdal wearing uniform. Jasa Desain Dec 30 2017 6:33 pm BRING PARK HYE SOO BACK!! Rainy T Dec 29 2017 6:41 pm What's the game they're always playing on the phone? claire Dec 29 2017 9:01 am i freaking love this drama!!! i both love the two seasons! i was just kind of disappointed bc they changed eun-jae :( and kang yi na is my favorite character!! she had less exposure!! will there be season 3??? leeshellss Dec 28 2017 10:36 am do i need to watch seaSon 1 first? jiwon Dec 26 2017 6:47 am ssongsungmin i love you so much!! I wish Jiwon won't die but please i want a SEason 3 confess to her Sungmin ah..! Your daughter is so pretty!! Just like her Mom! have a good day! Dec 16 2017 7:55 am a gooooodd refreshing drama. i like it! yui Dec 06 2017 8:25 am So, ji won will ended with sungmin? Epilogue in episode 13, sungmin's voice right? kdramachum Nov 26 2017 2:17 am SEASON 3 JEBAL!! My ship needs to sail, why can't he just confess to Ji won. And please bring Kang Yi Na back and get rid of Eun Jae. And I want to see more of my Jinmyung and Jaewan. And I also want more of Jo Eun and Jang Hoon. Hihi. ha ru Nov 16 2017 9:25 pm I really love this kdrama. I want it to have 3rd season. i love seongmin and ji won character ! i just wish that they become couple in the end. Satendra Paleya Nov 12 2017 10:05 am Where is Park Hye-Soo And Ryu Hwa-Young I Watched First Episode Because Of Ryu Hwa-Young! Season 1 Is Soo good! Let's Try This One! hanlovely Nov 06 2017 10:56 pm I think the one character that should be replaced is JUNG YE EUN. I don't know but I really hate her character since season 1. She's so annoying. I hope there will be more season of this drama. And when it come I hope Kang Eonni were there, and ji won too. But, not ye eun. hanlovely Nov 06 2017 10:52 pm I think the one character that should be replaced is JUNG YE EUN. I don't but I really hate her character since season 1. She's so annoying. I hope there will be more season of this drama. And it come I hope Kang Eonni were there, and ji won too. But, not ye eun. Park Eun Mi Oct 31 2017 6:59 am I would say this drama is one of the best. The friendships, relationship and romance where very realistic. It gave a slice of life about youth. I've been shipping Song Jiwon and Im Seungmin since season 1!! I love their bickering scenes and caring scenes. I wish I can see their love story develop (because the girl is obviously Sungmin's daughter at the epilogue of ep 13), but I guess it will be painful to watch because of the articles saying Jiwon is going to die at 30y/o. But that's life. People come and go. Some relationships lasts while most ends. And ofcourse, drama ends. I've gotta go and ease my breaking heart while trying to move on. GSC24 Oct 27 2017 3:14 am I have nothing to say but i just loved the main character's of this kdrama and also there acting esp. .soooo interested to watch every ep., more season pls! . Nsm Oct 24 2017 9:01 am Can't wait for season 3 but i also feel scared as according to the epilogue where they show the girls death year, one of the girl would die in 2025, that is 8 years from now n from the epilogue of ep 13, the scene happen 8 years from now as well. Stephanie Oct 23 2017 4:34 am I’ve loved season 1 and just adored season 2! The flow of the whole story of the girls individually and as a group is so well-connected and lovable! Even the new characters fit right in. I love this kdrama because I can see myself in bits and pieces of all of the girls! Thank you for such a warm and fuzy and lovable kdrama! TMJ Oct 18 2017 1:52 pm I 100% agree with you J. Sung-Min and Ji-Won are the cutest couple and it's kind of disappointing that he pretends not to like her. I hope there will be a season 3 so we can finally see them as a couple. nazlasyafitri Oct 18 2017 3:40 am Pleasee cant wait for season 3... i believe it will be booming more ??? Wulan Oct 17 2017 9:07 pm I am waiting for its season 3. But seriously, the director must bring Park Hye Soo back to play Yoo Eun Jae. Seriously. Hye Soo does really suit Eun Jae. The best "spice of life" drama ever!!! Sunny Oct 16 2017 11:21 am Personally, I think this season wasn't as good as the first season. I like how the first season was a lot more relatable as a college student while this season was more dramatic. It wasn't bad, but it wasn't as good as the first season. One thing that I was disappointed in was the change in the character Yoo Eun Jae. I didn't like that they made her this obsessed and whiney ex-girlfriend this season. I wasn't convinced that she was an introvert either. She was one of those giddy, naive, and annoying characters rather than the quiet character who was conscious and considerate of others. It would have been nice to see the relationship between Yoon Jin Myung and Park Jae Wan this season, but since we didn't get that, I was happy to see Jo Eun and Seo Jang Hoon as a couple. They were cute. Personally, I found Kim Min Suk's character, SJH, really attractive. However, my favorite male character is still Im Sung Min. ISM and Song Ji Won's relationship was always so cute because ISM obviously cares about SJW but he just pretends he doesn't. J Oct 14 2017 8:25 pm I really love this drama! It’s a lot heavier than the first but I love how it displays a lot of real life scenarios about love, friendship, depression, family issues, dreams and a lot more! Hoping for a third season cos it’s really cliffhanging! - Who’s the ep13 kid in the 8 years later epilogue?? - Why did Yoon Park only appeared on the finale episode??? - What would happen to Ji-Won’s case?? and a lot more!!! Hoping for more Kang-Yi Na exposure on the 3rd season. She’s my spirit animal! Andddd I hope Sung-Min would confess to Ji-Won! Bella Oct 11 2017 6:24 pm Best Drama of all times, kudos to the cast and crew. Please give us a season 3.
scarlet Oct 11 2017 2:46 pm Great drama. It was very entertaining to watch till the end. I never got bored. Each and every character was superb but for me the best is song ji won and sung min they were fun to watch. The end was also perfect but they could have extended a little more. They should have showed the court case ending, song ji won and sung min dating till the they were shown as friends, eun jae should have dated that sung min friend that would be more perfect. nisa Oct 11 2017 7:42 am this drama is soooooo good. i cant believe its already ended. Both s1 and s2 is my fav. I love all the character. guys... the writer fulfillinf our dream. Jiwon and sungmin will got married and will have a daughter. B.R. Oct 10 2017 11:54 pm Is episode 14 really the end? It can't be the end... I'm in my twenties! D: I'm not ready for this to be the end! Hehh Oct 10 2017 7:00 am Eun jae character is quite annoying this time but on the other hand it's much better to be broken up, we can see the new kind of plot .if they get along still together the plot will be boring anyway. But the problem is Jiwon :'( she shouldn't face that kind of problem sob sob this make me hurt enough. Out of all character uri jin myung !our noona ! !our senbae is the best <3 overall, of course season 1 is much better .season 2 is also good ;) Season3 pls our writer nim !!! I wish to see our Kang Unni role in Season 3 !! 민도 Oct 10 2017 4:54 am If u watch the epilogue for ep 7 on youtube, its different compared to tv version. The year stated is different. I really hope i wont be bawling my eyes out on season 3. Sakinah Rashid Oct 09 2017 4:04 am why can't the director let jiwon have her own romantic scene with sungmin...like the confirm relationship one. been waiting since the first season. poor sungmin try harder!!! fighting!!! Nai Oct 08 2017 10:08 am I really really like this drama since season 1. I think it's very realistic drama so far i ever watch. Thank you for the great season 2 and please make season 3 !!! musicmist Oct 08 2017 8:02 am can anybody tell me how old is yoon sunbae and jiwon ? is yoon sunbae 33 or 29 and is jiwon 29? doing calculations based on ep 7 's epilogue. Katjang Oct 08 2017 7:23 am Anyone knows if there will be season 3 next year? sylvia Oct 08 2017 4:27 am Hands down! 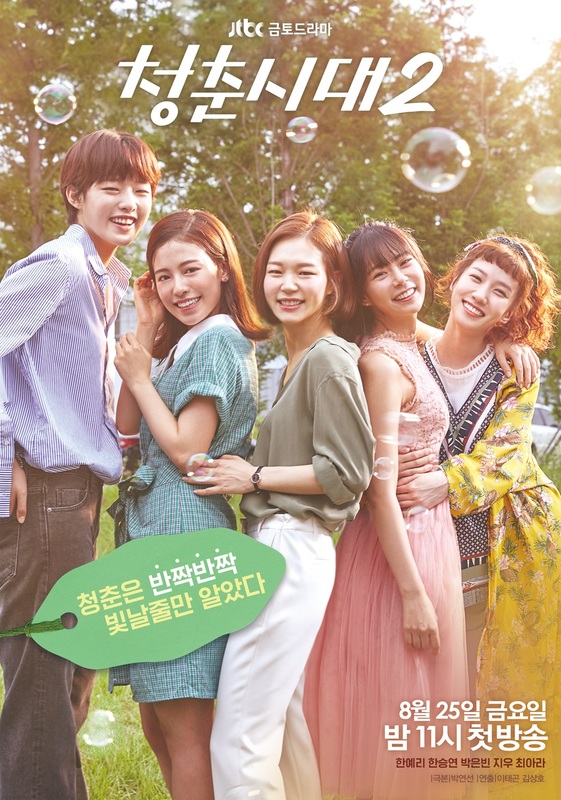 Best drama this year Although i was quite disappointed that Sungmin & Jiwon did not became a couple, the drama "age of youth" does depicts a very realistic narrative and enables the viewers to reflect on themselves while watching the show! I love the fact that the girls in belle epoque were independent, strong and show courage in the situations they were facing, without interference of their male counter parts. kartika Oct 07 2017 11:58 pm Season 3 please ?? song ji won & im sung min ?? Devon Oct 07 2017 11:55 pm jiwon sung min... already miss this couple. cloud9 Oct 07 2017 1:38 pm In most dramas if threre was a season 2 it wasn't good as season 2 . But this drama is really different . Great work . thanks for all the production crew , acters , actress . And plz give us season 3 also. We are earnestly waiting . And plz add kang yi na's acting shots in season 3 more than season 2. thank u . and love u all . Ayşen Oct 07 2017 11:42 am Season “3” ????? Oum Oct 06 2017 5:02 am I love Yoon Jin-Myung	, she is like a mother to them, she loves them all! lee Oct 06 2017 1:50 am Am I the only one who cried so much in ep 11. It was so scary and depressing, I wasted so many tissue boxes. Now I'll eat ice-cream and cry..
InYourArea Oct 06 2017 12:51 am This deserves a third season. I fell in love with all the characters and I hope the writer writes a third season for this series. JoEun&JangHoonShipper Oct 05 2017 9:44 pm I love all the couple but Im a diehard fan of JoEun ❤️ JangHoon!!! Poppy Oct 05 2017 9:17 pm Season 3 Please !!!!!!!!! tina Oct 03 2017 5:52 am This drama is amazing!!!! Ariss Oct 02 2017 12:04 pm This drama really nice and amazing!! Even kang yi na just cameo in this season but the story still make me enjoy. I learn that's everybody have problem to overcome, the important part is how u can handle your own...its really touch my heart when i watching it. i love both season! wenyeol Oct 01 2017 6:37 pm Okay first of all, website said you can comment, not spoil. Anyway, i love this drama so much!!! There are so many changes in this season but it's bearable. Give Ji Woo a break, she really tried hard to replace an already established character and she's doing a pretty good job about it. Anyway, am i the only one who noticed that she looks really pretty and looks like anne hathaway??? Bella Oct 01 2017 12:31 pm Best drama ever for me, it is soo realistic and teaches youth a lot about the real outside world. kudoss to the actress and casting team. kansameda, hope there will be a season three soon. Sese Oct 01 2017 5:10 am I miss jae wan-jin myung relationship!!!! Pleaase pd-nim let him appear and do some skinship!!! I didn't fall into heimdal, really..
And please make song ji won and sung min being a couple!! Lola Sep 30 2017 7:11 pm People gotta understand the underlying message in this drama. See, this drama focuses on the lives of 5-6 females. All have their own story - character development. Thats what I like about Age of Youth. If you've been watching the drama, there hasn't been many kiss scenes between females/males - their partners. That is what makes this drama unique - it focuses on REAL storyline and character development - NOT some cliche relationships and romance where females getting sweeped off their feet by guys. I've came to loathe drama where they focus solely on kiss scenes and sexualizing the actors/actresses... I was really disappointed in Fight My Way and several other dramas - where I thought it was going to be a unique drama that had real storylines but turned out to be romantic comedies. Love you, girls! thanks JTBC for this drama! Chesa mahalia Sep 30 2017 3:28 am Is jin myung and jae hwan still a couple in this season? Lynnie Sep 29 2017 12:40 am I never bothered to watch Age of Youth S1 until I saw Im Sung Min and Song Ji Won moments in AOY2 . I thought their relationship made the drama so entertaining. Now I like all characters and I even watched AOY too. Purrrhana Sep 28 2017 9:27 am I really loveee Song Ji Won character , the main reason why im watching this drama is because of her and her bestfriend boyfriend to be Im Sungmin ??? 연지 Sep 26 2017 8:33 pm Sorry but the Eun Jae from season 1 is a whole lot different from this season. At first, I actually thought that it was a new character. But when I knew she was a replacement, I got REALLY confused. Not disappointed but really really confused. But still, hwaiting!! ?? kwonbaby Sep 25 2017 11:54 pm i can accept the fact that kang yi na character only appeared as a cameo eventho she was my fav character among the girls but the new eun jae is a total turn off. The previous eun jae has an adoreable,awkward and so innocent act but this eun jae looks like a tryhard korean steretypes girl to be cute and stupid, and also tbh she's looks so matured compared to the previous eunjae,she's pretty and i know she's trying so hard to copying the old eunjae which is a big failure. I even can accept if they really cut off the eunjae character than replacing her with a very different person. I always sighing everytime this eunjae tried to looks cute... so annoying honestly. But even after deciding not to watch this drama, i can't because i also loves the other girls. Just if they didn't replacing eunjae character and just makes a story about how eunjae left the house and get replaced by another girl. That's maybe a way way better. Blacbarbie40 Sep 24 2017 11:03 am Song ji won makes this drama come to life!! I love her character sooo much!! She is hilarious!! Gmorningcall Sep 23 2017 3:38 am @anna i rly reccommend you watch season 1 first, bc there will be so many plotholes for you if u start at season 2! snd major spoilers! Anna Sep 23 2017 3:22 am Can I watch this without watching season 1? OUM Sep 22 2017 12:19 pm I really hope Im Sung-Min and Song Ji-Won end up together! He surly loves her! I'm watching impatiently just for those two ?? Kinomoto E Sep 21 2017 9:48 am I like previous Eun Jae, she makes the character look so innonce. This session, Eun Jae becoming stupid. Eun Jae stupidity character makes Ji won & Sungmin love story more stand out. Love Yoon sunbae, she becomes prettier, so cute with the aegyo. tamtam Sep 21 2017 5:31 am I miss hye so and hwa young unnie,, especially hwa young unnie. kang yi na character make the atmosphere more to live. Her character strong and fierce, without her sometimes feel bored. Armie Sep 20 2017 10:20 am I really love the first season,though I'm loving Season 2 but still can't get over with how i miss park hye soo as eun jae. PHS just looks so natural when acting as eun jae. Second season is not yet over but I'm already wishing for another one. i'm your father Sep 20 2017 2:24 am i dont like new yoo eun jae. btw, jo eun is looks alike with Jisung wanna one? Jo Janggun Sep 19 2017 4:02 am I'm confidently said Age of Youth is the only one K-Drama that have the best sequel so far. I've never saw other dramas have good sequel. Other dramas always make a sequel with casts completely different from the pother dramas always make a sequel with a cast completely different from the previous season with a story that just changed a bit and make the audience bored. But not with this drama. Indeed I had time to doubt this season 2 when seeing kang sunbae just a cameo and yoo eun jae cast is replaced. But I'm wrong. This season 2 is really made me exciting every week that I always look forward for weekend to watch it. HIGHLY RECOMMENDED!! @rue Sep 17 2017 2:47 am @rue I think it's not she didn't acted like the old eun jae. From what I saw in first 2 episode she is really trying hard to act like the old eun jae, but what she lacks is the is the innocent looks that the old eun jae has. It's so awkward her watching her. rue Sep 16 2017 4:55 pm I wouldn't have minded the new eunjae if she acted like the original one but she doesn't! i watched the trailers and her character is completely different, in two scenes (of the trailers) she screams in one and gets shocked in the other. In both of those scenes she overreacts, the original would have been shocked (as the script must have called for) but she would have only showed it slightly. i know i sound like I'm trying to be a film analyzer or something, and I'm not, but they could have done better. i wonder why park hyesoo (og eunjae) didn't continue the second season. i hope the show continues to produce good content like the first season. i'll miss jin myungs love interest tho. ERD Sep 16 2017 8:22 am this drama remind me to my mom. In age of youth season 1, i and mom watched together but now i can't bcs she went to heaven, i hope so. Yoona Sep 15 2017 11:17 pm Kang yina is one of the original cash, how come shes only a guess now? And yes i agree that the new eunjae is not fit to the character real eunjae? Shes a different person here.. I like Song jiwon and im sangmin. They're sooo cuuuteee ? AiHaru Sep 15 2017 1:35 am Still prefer the shady, innocent, and shy EUN JAE!!! Lucy Sep 14 2017 10:07 am At first im happy that theres season 2 but when i know that eun jae character is changed, i feel like didnt get the feeling of new face but same person. But now its fun! I really love song ji won and im sung min together. They r really supadupa cute&funny! Lol ❤️ Please just date! I thing sung min love her but idk tho hahaha. And tall girl (jo eun) and short man (jang hoon) too cute to be true! Aaa i love season 2!!! Jjang! r Sep 14 2017 12:39 am personally at first, i watched season 1 because of park hye soo and later on enjoy it because of the plot and chemistry between the whole cast. and i'm just getting excited when knowing that there's season 2, but then get surprised by the replaces of park hye soo, like 'oh no..' but the trailer kind of promising, so i'm gonna watch it with a fresh new mind..
Tia Sep 13 2017 10:43 am Personally i think original eun jae is better..why u need to change the cast????? etha Sep 12 2017 10:58 pm Age of Youth 2 Jjang!! Teukik Sep 12 2017 5:47 am My favorite couple Ssong ❤ Sung Min!! song sunbae~~~ Sep 11 2017 11:54 pm I like season 2 as much as i like the first season...... My favourite couple since first season is song Sunbae and her only one boy friend,they are so cute together.....like they how to reach to each other so wellll Hopefully their relationship Will get positive progress ini this season??? Hope this drama will do well ...hwaitin??? Seulgi Song Sep 10 2017 4:25 pm I was unsure with Eun Chae's Actress changing but she acts exactly like the old Eun Chae. Her acting makes me believe both actresses are the same person. Also didn't know what to expect of Jo Eun but now I'm starting to really care about her. As for the returning characters you get to see their progress in life some good and some bad. The second season is as good as the first and reminds me why I love this series so much. Yinaa Sep 09 2017 7:15 pm I watched the first season because of Kang Yi Na , she's so savage.. but i think i'll start watching this second season because of the trailer. It seems promising..
Lola Sep 09 2017 6:36 pm Ok, I'm a bit upset with the new cast members... Their characters seem bland, or maybe its their acting... They have a lot to improve on. I also feel like the storyline for most of the characters are very bland as well too. There's not much going on, and its not very interesting... I liked the 1st Age of Youth because it depicted the life of Korean people in their 20s - like REALLY WELL. Giong to college, having a boyfriend and not having a boyfriend (for all characters), working multiple jobs (Yoon Ji Myung), dorming and living together and how people can disagree/agree... It really depicted the life of Koreans (especially the youth in their 20s) really well. It gave a glimpse of what Korean culture and lifestyle is sorta like. I kinda wish they focused more on that - korean culture and what its like to be a 20 year old. I think Yoon Ji Myung's life is pretty interesting - would love to see more about her character development/life development - after graduation. I also definitely like Song Ji Won and Im Sung Min's storyline and "romance" - cant wait for their relationship to bloom. I want to see more of Jung Ye Eun and her overcoming her struggles of trauma, and to build resilient and building her confidence again. I truly just want to see her be a STRONG INDEPENDENT woman, who can show that women don't need a man to be happy and successful, and strong. I miss the actresses Park Hye Soo (who played Yoo Eun Jae) and Ryu Hwa Young (who played Kang Yi Na). They were like perfect for their role. I also do not like Choi Ae Ra's acting in here as well - and just her character. Her acting or maybe her character is very bland... She has a lot to improve - but I guess you gotta start somewhere. Choi Ae Ra looks like she could be a model - seriously - she got the height, walk, and appearance that would be perfect for modeling! At first I thought she was a character that was bi-sexual or homosexual (lesbian). I thought, oh hey thats kinda interesting and cool, Korea is finally shining light on homosexuality subject. I was hoping they would continue to focus on that for her character - but I guess they changed it because of the backlash probably from Korean people as they are very traditional and don't really accept homosexuality.. It was a bit disappointing - because there needs to be talk and support for the homosexuality community. Korea never talked about it - and its interesting seeing the girls' reaction (in the drama) when Choi Ae Ra first arrived at their residence to check the living space out - and how they all judged her and were shocked and unwilling to accept her for who she is... I feel like that reflected a lot of people in reality and especially in Korea - how they truly feel about homosexual individuals. Nugget Sep 09 2017 3:35 pm I'm not really affected by them changing the original eunjae,I still like the old one. Am I the only having a big crush on jo eun? Idk what it is but her character makes me want to befriend her! Mondydoo Sep 07 2017 6:30 pm This session is fresh. I love the way they vary the characters here. I was a litlle bit disturbed about their changing eun jae (maybe because I was used to hye soo), but I don't mind about it now. I think it is not ji woo who couldn't act eun jae (who used to be so polite because she was freshman). Now eun jae is sophomore and is more used to her recent environment. It is just what i think hehe. I love eun jae and jong yeol too since the first session omg they're so cute. Ji won and sung min are totally lovely huhuhu. Another friendzone story. Ikr, ji won and jang woon would be cute couple as well and i am looking forward for their story behind. Unfortunately, I am so much annoyed with character Ye Ji. I don't know why Shi Hwa is so good at acting that make people annoyed in every drama she had. But yeah, i expect there is story behind worth to wait from her and ji won. deafstone Sep 07 2017 3:01 pm might sound crazy, but i still can't move on from Hye-soo (1st Eun-jae) that i constantly imagining her when the (2nd) Eun-jae speak. god, i've never been in this deep adoration for a fictional character before. unfortunately, but ironically, thank god, the new Eun-jae is so perfect in portraying the old Eun-jae thus i can't start a petition lol. Bushman Sep 06 2017 11:18 am Well, Ji-Woo has her style, but they supposed to end somehow character of Eun-Jae and place her as a new one. Park Hye-Soo was acting differently than now we can see, more discreet and polite than Ji-Woo. Poko Sep 02 2017 1:19 pm I won't be watching because of the changed cast. I tried watching it but the tall girl is a turnoff. I strongly dislike her attitude. Fananict Sep 01 2017 10:25 pm The director replacing wrong people, from my opinion its better to replace yoo eun jae because the original cast cant continue playing this character. And he should keep kang yi na. marrythemerry Aug 26 2017 7:46 pm JustAFan you dumbass, Ji Woo is not 42 years old. She was born in 1997, so it makes her 20 years old. Get the facts right. Kokokok Aug 26 2017 9:32 am I think you guys are mistaken.... There are 2 ji woo one is 42 and the other is 19.
trololol Aug 25 2017 3:03 pm JustAFan i think you mistaken ji woo with another choi ji woo lol. is she really look that old for you? haha. this ji woo is actually 19 years old btw. JustAFan Aug 24 2017 9:54 pm I can't believe they are making a 42 year old woman play the character of the youngest (21 year old) in the group.. Was there really not a younger actress available? Yoo Ma Ri Aug 22 2017 7:29 pm Yooooon Paaaaark in the series!! Oh my God, thanks!!! Hakyung Aug 21 2017 11:21 pm i think it's better to replace yoon eun jae character just like kang yina character. because, it's like strange to see same character but different face. Sapphire Aug 21 2017 9:12 am I'm a bit sad and disappointed that park hye soo will no longer be in this drama anymore. I'll try my best tho to like this new actress who replaced her. May this drama be successful just like the season 1.
shinyoung Aug 19 2017 1:42 pm wow, tell me im not the only one who heard someone is singing pentagon - critical beauty from the teaser 3? lmao. anyway, im waiting for this drama so much! jaejay Aug 17 2017 3:59 pm Despite actress/actor changes and the Onew case, the show itself looks quite promising! I'm already so excited for the release! SherlyTemple Aug 14 2017 6:08 pm So excited for the next season. Although I'm sad Hye-Soo and Hwa Young won't be main cast, the short hair/ tall girl looks like a promising character. During the trailers her character looks like she's going to be a good character. AOY2 Fighting!!! Cra Aug 12 2017 9:40 am WIsh they did not removed ryu hwa young on the cast! She's my fave on the cast. They should removed the girl with the short hair (han ye ri) she's not good at all! She looks so old and dull! Will not watch! I'll just watch it seen with ryu hwa young! dxcsi Aug 06 2017 10:10 am Hope they will stick to the original plot of the story and will not add anything that will ruin the true essence of the drama. But, i'm still hoping that Song will have his own boyfriend, I still can't forget about her and Sungmin (s1) their chemistry is no joke! 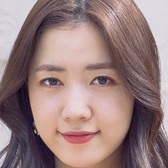 Frankly speaking, Hwayoung did a bad thing but she's still a good actress though! Don't understand why knetz are asking her not to participate the drama when she has that skills. kxng Aug 05 2017 1:11 am @jaehwa ryu hwayoung will be in the series, her character just doesn't live with the rest of them anymore - so idk how big her role will be, but she's there! Ima Aug 03 2017 9:29 pm Aww, teaser 2 is so adorable! Ana Jul 30 2017 8:16 pm Ryu Hwa-Young - Kang Yi-Na (special appearance) ???? Belinda Jul 28 2017 9:11 pm I'm so disappointed, my favorite characters are leaving the show. I have a bad feeling about 2? Italian DJ Jul 23 2017 5:11 pm I really enjoyed the first season, because the cast has been perfect to develop the different characters and their peculiarity. Usually i don't like when another actor or actress replace the previous, to perform the same role. Above all, when the role was so well portrayed as Park Hye-Soo's "Eun-Jae". Actually i liked even Hwa-Young's character, but at least she will do some appearances in the second season. if the original line-up was impossibile to be involved in this sequel, i would've preferred that even "Eun-Jae" would been replaced by a new character. Maybe a spin-off of the original serie would've been a better choice, in terms of production. However i'll watch the show, hoping that will be good as the previous. le Jul 23 2017 4:02 am Yoon Park is not gonna be there whyyyyyy. I missed him so much and i need more of jaehwan and jinmyung together. Jane Jul 23 2017 12:39 am Ahhhh it doesn't make sense that they change Yoo Eun Jae actress. We can't wipe off our memory of the original Eun Jae! They won't have similar characteristics. This is worse than not having Kang Yi Na on. But I'll give it a fighting chance. Hopefully it won't be a flop! Song Hoon Jul 22 2017 10:13 pm Can't wait fot jiwon-sungmin relationship...An woo yeon..onew..kim min suk almost know all the cast..jiwoo fighting..even I miss Park Hye Soo..but still love this drama. mission Jul 20 2017 1:23 pm @Daisy, they already waited for all the cast to be free so they could start shooting and all the cast were positively reviewing. It went to the point that even Asianwiki had posted they ALL agreed. And then all of the sudden park hyesoo said no. She has a movie with DO of EXO so she will be busy for 4 months (script reading preproduction and post production. And the movie promos ). Even HwaYoung said YES, and she'll appear for about 2 episodes. Why should they postpone a whole already decided drama or change a complete storyline from a script because of her? Is she any better than the rest? I like the actress, but she's not worth the big problems production and the other actors would have. After all they signed a contract, the can't spend 4 months waiting around without accepting any work because of waiting for her. Daisy Jul 19 2017 12:35 pm Why didn't they just wait till Park Hyesoo was finished with her movie to film season 2??? california Jul 17 2017 10:49 pm I believe the reason Ji Woo replaced Hye Soo was that many of our questions weren't answered, so we need the character to be there to answer them. Many people would have been disappointed either way. I wish Hye Soo would have still been her character, so I hope Ji Woo does a great job! I'm expecting this season to be great as well! alifanoona Jul 09 2017 11:36 am YEAAAAY! I'm more than happy to find out Jiwoo is joined the cast of season 2. One of my fav actress <333 actually i feel upset too when i knew she just replaces park hye soo character. hope she do it well!! Ivy Jul 04 2017 4:00 am Why dont they just make another character for Ji Woo? IVESS Jul 04 2017 1:16 am I was so excited when I found out about a season 2 for the series. I really enjoyed the drama.. but I'm so disappointed in the cast for the second series. Replacing a character with a different actress? ...just no. They could've made a different character for Jiwoo. Yovita Jul 03 2017 2:12 am First for the cast, I'm so disappointed. They just use 4 casts from older season. While, they announced the new season, I was waiting for next progress of Jinmyun and Jaehwan couple, also Jiwon and Sungmin. For the replaced Hyesoo with Jiwoo, I think she must be play a new role, not Eunsoo's role. I never hear the second season in kdrama will better than previously. I just hope they will bring same successful in this drama with a new story on it. Stef Jun 26 2017 4:07 am Very excited about this news. I enjoyed the first season and I would be happy to have a second season. Like to see Song Ji-won character finding love. I’m hoping Song Ji-won will finally get a boyfriend! I don’t care about Ryu Hwa-young controversy, without all of them Age of Youth won’t be the same. Please keep the original casts. If you can’t get all the original cast then don’t bother doing a 2nd season ‘coz it’ll definitely flop. Age of Youth won't be the same without Hyesoo and Hwa-young but I'm glad Han Seung-Yeon is here. Happy and Sad! Jun 24 2017 2:59 am I'm upset they had to recast Hye Soo but I like Ji Woo she's very talented. But that character just won't feel the same. They should have written her off giving Ji Woo a new part altogether. But I have to watch to see what becomes of Ye Eun! Her story traumatized me. I need answers! That was a terrible ending! I'm glad they're finishing that story. I think. I hope the writers don't make her character take a turn for the worst. I hope she got/gets through that experience. I'm sad Hwa Young is hardly in it. Her character was fascinating. I thought it would be cool if they decided to make her a real student. But it makes sense that her character left considering what's already written. I hope her character married the guy friend who was in the same business as her and they made new lives together. ixxdhxx81 Jun 12 2017 11:41 pm Son Seung Won is back!!! Yeay.. It's confirmed!! bs Jun 09 2017 11:41 am what scheduling conflict ? i thought she's on break after introverted boss finished ? Bill May 29 2017 2:41 am I just hope that Eun Jae will still with her sunbae ?? i dont care with other cast's couple but please, this two person is my fave couple ?? Age of Youth S2. Yay! May 26 2017 8:18 am Kim Min Seok and Onew ha? DOTS reunion? I mean there sure is, someone needed for Han Seung-Yeon and someone to heal Park Eun-Bin. And Kang Unnie won't be there all the time. I'm so happy this is happening. It's among my favourite dramas ever. But then I always say that. Sharlene May 26 2017 4:23 am Holy fck this is actually happening?! Anyway, i felt like that Age of Youth was also a stepping stone for the girls's acting career - seeing how they starred in different shows after this, respectively. myxblush May 15 2017 11:30 pm What about shin Hyun soo!! He's so cute!! I want him to be in S2 too! nn May 12 2017 6:48 am Will the male casts from season 1 join this too? natnirunr May 12 2017 1:36 am Can't wait for Kim Min Suk appearance in this drama ? Frankie May 11 2017 2:14 pm I'm so excited for this!! Age of youth is my top 3 favorite dramas, it's such a low-key touching story.. The OST's were so soothing and touching, the editing is so unique and strangely mysterious in a good way.. Cant wait for season 2 to come, maybe we'll finally see the plot holes covered!! WindyMae Robles #Sone May 09 2017 10:58 pm To much blackhole from the first season especially for JinMyung, Jiwon, Eunjae's part. Im eager for the same cast arrgh! Im Wednesday Apr 28 2017 7:43 am I really wanted the original girls! Especially Ryu Hwayoung. I loved her! I hope they cover up the holes of backstory. Like the old roommate, and Ji-Won. I understand Hwayoung sunbae will not be in the series too much, she is currently doing The Fortune Teller's Recipe. Can't wait for season two! Ren Apr 07 2017 5:05 am Ryu Hwa-young will only appear in one or two episodes. So sad :( It's more like she will just have a special appearance in S2. They said there's a new girl who will replace her... The Belle Epoque girls will be getting a new roommate. Anyways, I'm so excited for the Season 2!!! More of Eun Jae and Jong Yul please! kingstar_88 Apr 05 2017 9:12 am whatever hwayoung did in the past has nothing to do with her acting abilities I really think that she deserve to be a part of Age of Youth season 2 together with the other girls, they already have camaramedie towards each other..
sassyahjumma Mar 19 2017 12:57 am If what I read about Hwayoung is true, it's so disappointing as her acting is very good in both Age and also Golden Pouch. What a waste for her to be such a brat and bully. Cannot help thinking how 'pretentious' one can be if her acting is really that good to cover up her ugly self of a bully. I disrespect bullies, have no time for them and will not allow anyone in my team to be bullied. Hwayoung, if you are that type of a bully, shame on you. You must not get any support whatsoever. Cos bullies are cowards, shameless. SANADA-X Mar 16 2017 11:43 pm Not much Hwayoung in this one, if any. She might appear in an episode or two but will be replaced as a main character. The real reasoning for this is pretty obvious but they have brought up that her story was "complete" in Season 1 as the professional reason. QWERTY Feb 22 2017 10:36 pm Song JiWon never really got her own story arc, so I hope that the second season will provide her story. Aside from that, I do have a lot I'm curious about, such as how Kang YiNa fares while trying to live a more 'normal' life, how Jung YeEun moves on from her abusive boyfriend, how Yoon JinMyung lives after she 'lets go' of trying to care of herself, and her family, and finally how Yoon EunJae internal conflict (with the whole killing her dad thing) unfolds further. this was long.. wasn't it. Octaryne Feb 20 2017 5:20 pm I just wanna say that "I can't believe it and extremely happy to hear it", I hope they accept the roles, the men as well.. they are too good to be replaced.. ? Putri Feb 16 2017 7:39 pm Please please please make it come true. It would be good if you stick to the original cast, but it's also okay if you change the cast as long as the story stick to the nice good vibe like season one. Just don't ruin the story. Soophiaabeaar Feb 16 2017 2:20 pm I am so happy to see a season 2 with the same character It felt like that some of the plot wasn't solved like there are consequences and I'd like to see it more ! suk2014 Feb 16 2017 5:25 am If original cast reject please make age of youth in male version. I really want to see this kind of show but in male perspective. fans of this drama Feb 16 2017 4:54 am please accept the roles unnies!! ?? ?